R.I.P. Captain Robert “Bobbie” Evan Brown Jr. September 2, 1903 – November 8, 1971. A mans man and a true hero. If there’s one thing that has remained universal about battles and war throughout human history, it is the fact that war changes men. Often the changes are subtle. Sometimes the only thing different about the soldier who returns home after a campaign is a new scar or two. Sometimes, though, the damage done is far worse, and the wounds and scars that the returning soldier bears are not only physical but psychological too. Even men who are capable of the most extraordinary acts of courage and heroism on the battlefield may end up losing a far quieter, more personal and solitary war in the end: that with their own souls. 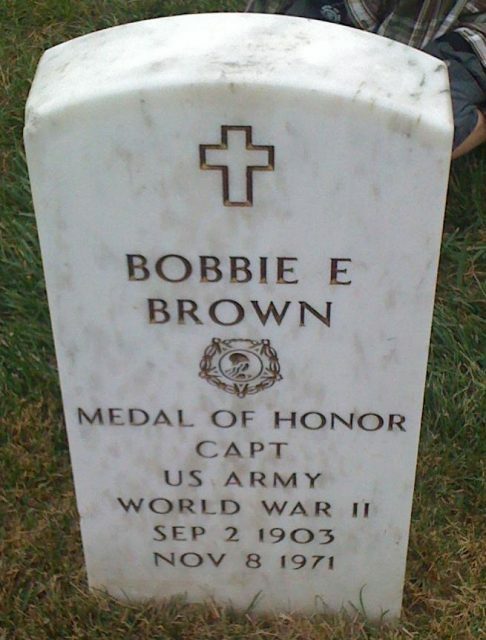 Captain Bobbie E. Brown, a hero of WWII and a recipient of the Medal of Honor, was one such man. When Robert E. Brown was 15 years old, he enlisted in the United States Army to escape a life of poverty. He lied to the recruiting sergeant about his age and used his nickname, Bobbie, in place of his real name on his enlistment papers. Becoming an enlisted soldier in 1918, he just missed the First World War – but his chance to fight for his country would nevertheless come a few years later, when the United States entered WWII on December 7, 1941. Brown, a gifted athlete who excelled at boxing and football, took to combat like a duck to water. Initially, he served in North Africa as a first sergeant in Patton’s 2nd Armored Division. There he saw plenty of action and received a battlefield promotion to the rank of second lieutenant. 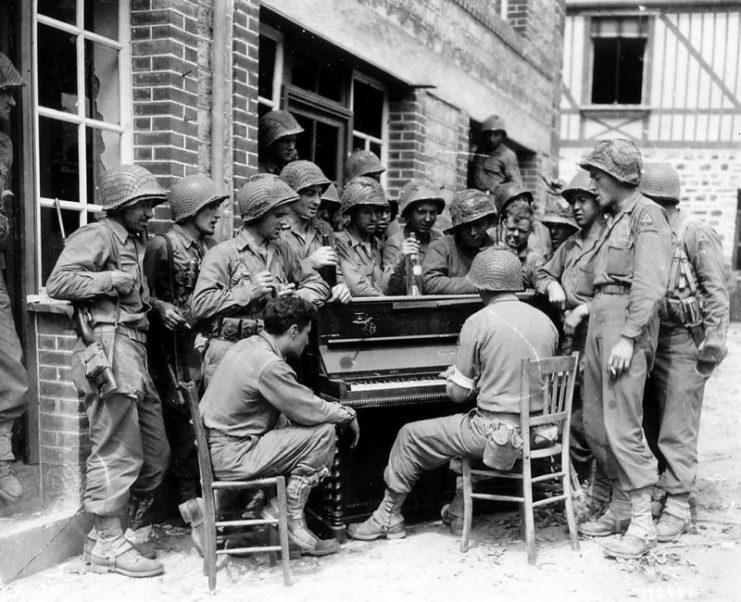 After this, he was transferred to Western Europe to continue fighting with the 1st Infantry Division. His arrival on European soil could not have been more dramatic or more intense: he led a platoon of C Company, storming Omaha Beach on D-Day. 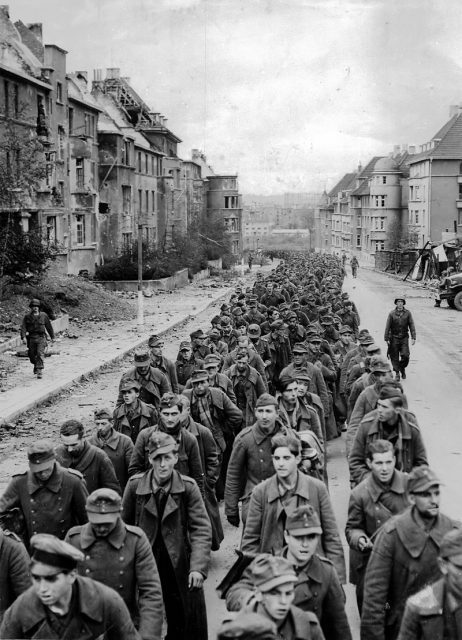 Over the next few weeks, he and his company fought their way across France as the Allies pushed forward. During their advance, Brown’s company commander was killed, and Lieutenant General Robert H. York found he had an important decision to make. 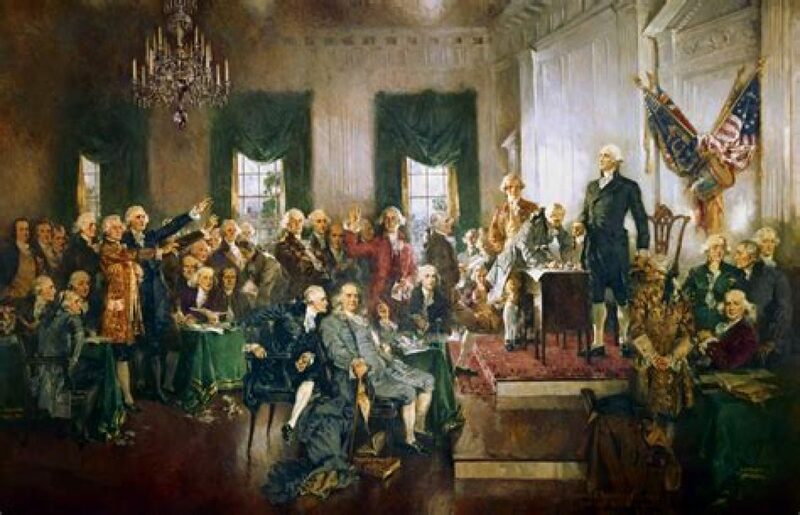 Despite knowing that Brown possessed what he described as “the educational equivalent of a twelve-year-old” in terms of schooling, he also understood that Brown was a natural leader and a man who inspired loyalty in the men around him. York had observed that Brown also had a natural flair for tactics and was an absolutely fearless fighter. Therefore, in spite of Brown’s lack of formal education, General York decided to give him command of the company, promoting him to the rank of captain. 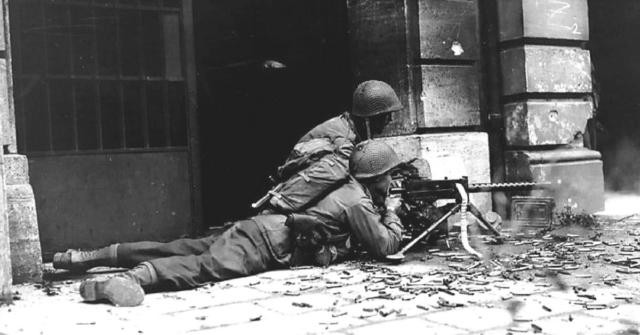 The highlight of Brown’s military career occurred on October 8, 1944, when he and his company fought in the Battle of Crucifix Hill, a key phase in the Allies’ larger plan to encircle and then take Aachen, a city in Germany. 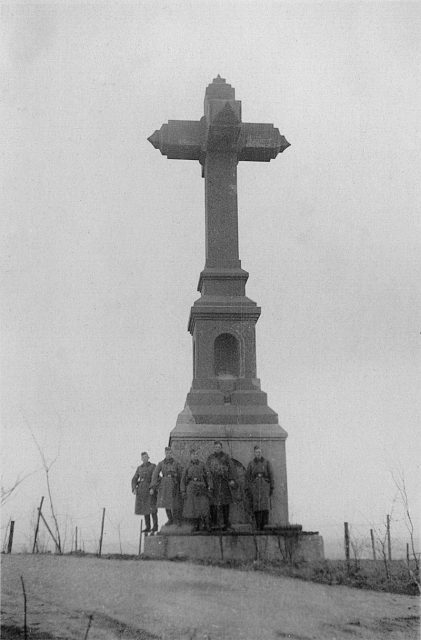 The heavily-fortified Crucifix Hill was a major strategic position for the Germans. Everyone knew that there would be a tough battle to take it, but Brown was determined to win with the smallest amount of American casualties possible. Of the 43 known German pillboxes on the hill, he and his company were charged with taking out seven of them. 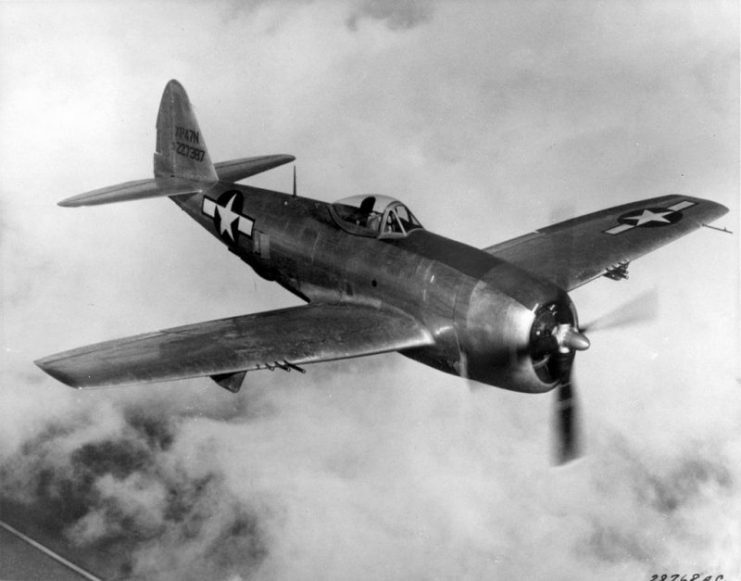 At 13:15, an American air strike led by fighter pilots in P-47 Thunderbolts hit the hill. After that, it was time to advance. However, soon Brown’s company were pinned down in an anti-tank ditch under withering fire. 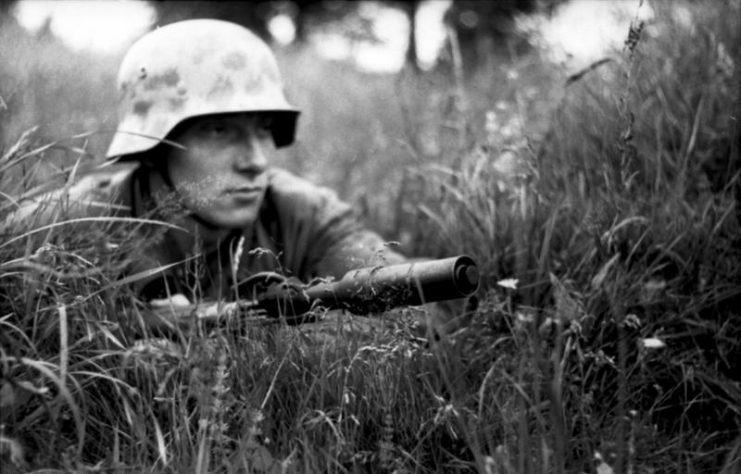 Brown quickly realized that his men would be cut to pieces if something wasn’t done about the German gunners in the pillboxes dotting the hill. 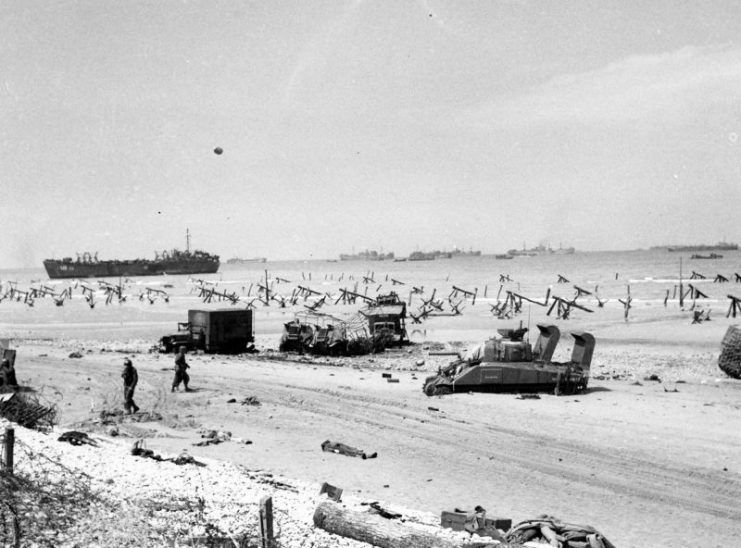 Instead of sending out a group of men to take out the pillboxes, he took it upon himself. Taking some pole charges and satchel charges, Captain Brown ordered his men to lay down covering fire. He crawled, alone and in the face of enemy fire, approximately 100 yards to the closest pillbox into which he dropped a satchel charge. 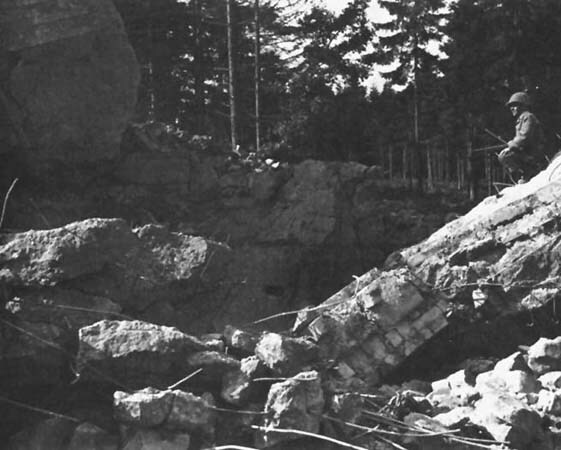 The explosive detonated, taking out the Germans in the pillbox and effectively neutralizing it. After his first success, he crawled back to his company and retrieved more explosives. Then, once again, he headed out alone, with bullets flying all around him and mortars exploding so close that a few knocked him over. 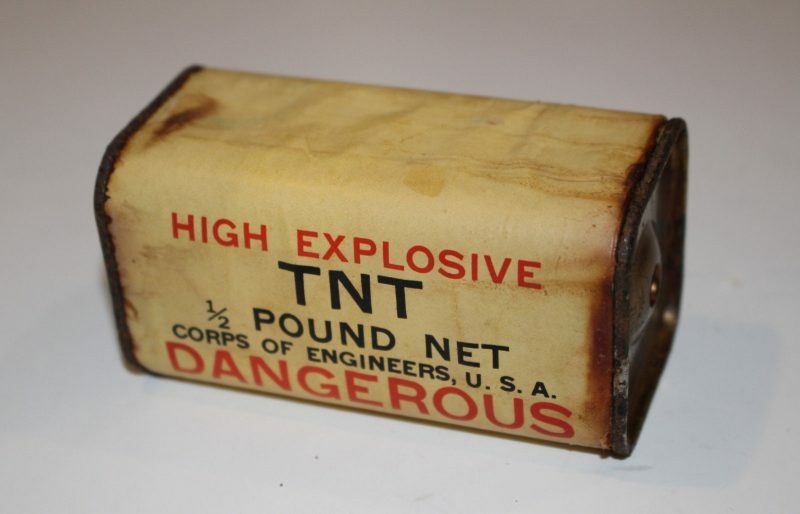 Nevertheless, he kept pushing on and took out the next pillbox in the same manner: by getting close enough to drop an explosive through the aperture. Once more he headed back down the hill to replenish his supply of explosives. This time, however, his sergeant noticed that he had been hit; there was blood all over his knee and there were bullet holes in his canteen. Brown, however, simply shrugged the injury off and kept going. The third pillbox he was aiming to take out was the most heavily-fortified one on the entire hill and was manned by no less than 45 German troops. Brown approached this one with more stealth, via a communications trench, and waited for just the right moment to attack. When a German soldier carrying ammunition to his comrades opened a steel door in the heavily-reinforced pillbox, Captain Brown tossed in two satchel charges and managed to take out the whole pillbox. Once this pillbox had been destroyed, the Allied forces on the hill quickly began to gain the upper hand. However, Brown was not content with stopping here. He realized that someone needed to reconnoiter enemy activity beyond the hill. Once more, he took it upon himself to undertake this dangerous mission. 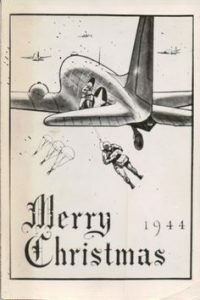 He headed out alone to locate enemy positions, deliberately drawing enemy fire in order to get the German gunners to reveal their emplacements. 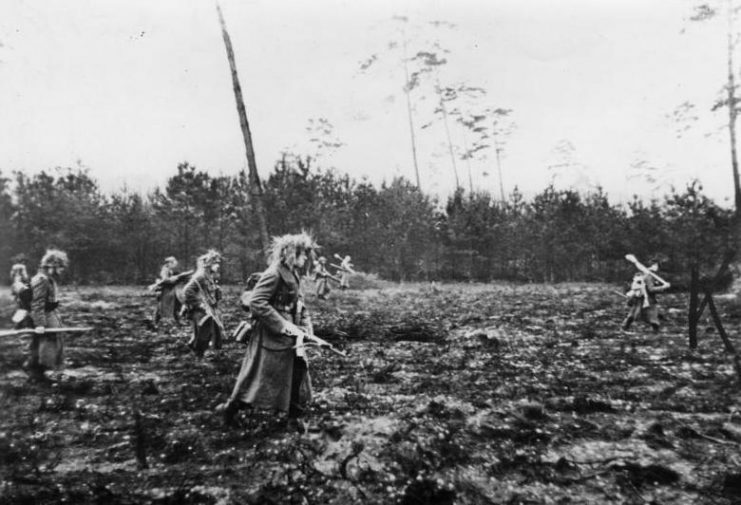 Through this amazing demonstration of courage, he was able to reveal the German positions. This enabled the Allied forces to repel two German counterattacks and successfully take Crucifix Hill. Only once the battle had been won did Captain Brown allow his wounds to be treated. He fought on in the war but was badly wounded fighting on the streets of Aachen when an artillery shell exploded next to him. These wounds resulted in him being hospitalized for several months, but when he was healed up, he returned to the front and continued fighting. 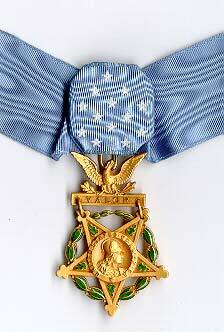 After the war ended, he was awarded the Medal of Honor for his valor in the battle of Crucifix Hill. Unfortunately, Brown spent a number of years after the war in and out of hospitals, suffering from constant pain from his wounds as well as from PTSD. He left the armed forces in 1952, having served as a soldier for 34 years. However, owing to his lack of education and his severe physical and psychological scars, he could not find a decent job and ended up becoming a janitor at the United States Military Academy at West Point. His physical wounds and psychological scars never really healed, and, sadly, Captain Robert “Bobbie” E. Brown decided to take his own life on November 8, 1971. He was given a hero’s burial at Arlington National Cemetery.